A three days retreat led by Anne-Lise Miller supported by Cathy Gavrilita and Vera Moisa. The retreats take place at The Whole Health Centre where there is a dedicated space to share the juices and chill-out between treaments. The centre is conveniently located near Hampstead Heath and within easy acess to the shops and ameneties of Primrose Hill and Belsize Park. 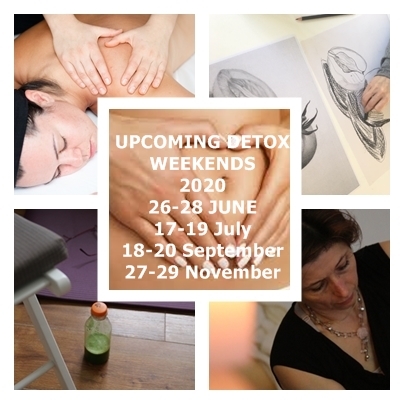 You will be joining a small group of like-minded people to rejuvenate your body, relax your mind and nurture your soul. This is an all inclusive package that includes two daily treatments, a movement and mindfulness class and a meditation. The programme aims to integrate body, mind and soul as well as create a nurturing space from which to grow. Designed to cleanse the lymphatic, bowel, liver and gall-bladder this short but highly effective programme will leave you feeling clearer headed, lighter body and energised.